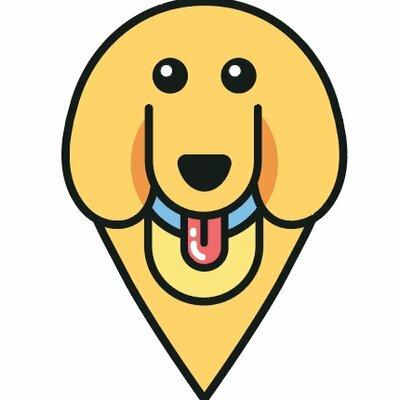 7 Lessons for Camping with Your Dog – furevery – A powerful new app furevery dog parent, furevery dog and furevery dog business. We connect hands with paws. I’m the kind of person that firmly believes everything is more fun when you have your dog. My wife typically agrees with me - except maybe on our third night in the tent with our rescue pup, Clara. She has long fur, and after a few trips into the lake, she can be a bit… floral. But that brings me to an excellent discussion. Camping is one of my all-time favourite activities, and having a dog has only enhanced how much I enjoy the experience. Being able to take our Clara on hikes, have her sit by the fire with us, and go on canoe trips makes everything a little more fun. And to top it all off, she gets some much needed exercise, and a breath of fresh air. With that in mind, I wanted to share a few lessons learned from camping with our dog. Let’s dive in! Campgrounds are full of possible distractions and issues - some of which aren’t nature’s fault. Between small animals like squirrels and chipmunks running to and fro, to cars sometimes speeding through the campground without paying any attention to where they’re going, there are a million ways your dog could get lost or hurt. Plus, off-leash dogs are a nuisance to people whose dogs need to be kept on a leash for their own safety. My mom was sent flying into the air by her own dog Simba when an errant bulldog came strolling out of the bushes and scared him into a full-on run. He was on a leash tether, of course, but that didn’t stop him from taking my mom down with him in his flight. Another thing to consider is that not everyone likes dogs, and more importantly, not everyone is comfortable with them. As I took Clara for a morning walk last year at Elora Gorge, I encountered two well-mannered but eager Labs out for a morning stroll off-leash, with no owner in sight. A woman was standing at the end of the road terrified of them getting too close to her, but unable to get back to her campsite because they were in the way. I ended up wrangling them long enough for her to get by, but if I hadn’t been there they would have continued to make her very uncomfortable. If you want your dog to be able to experience the dog days of summer off-leash, fear not. Many parks offer leash-free spaces, and you can find a great list of dog related amenities at parks here on the Ontario Parks blog. We’ve yet to take Clara to a park with an off-leash facility, and she’s still managed to finish each day happy and exhausted. One of the most fun parts about camping is being close to nature - and for me, nature means hiking trails. Hikes are a great way to exercise your dog, get their joints moving, and tucker them out fast. But not every dog is up to the challenge of an intermediate hike. Some hikes feature cliff-like scenarios requiring some vertical stepping-up, while others feature stairs and boardwalks that can be hard on dogs with hip issues. To top it all off, there are many stories of dogs that were simply too tired after a long hike to make the return trip - including a few that had to be helicoptered home. During our same trip to Elora Gorge, my wife and I found ourselves on the wrong side of the fence into the canyon, and decided rather than backtrack, to simply pass Clara over the fence after we ourselves jumped it. It wasn’t ideal, and knowing what we know now, we’ll adjust the hike accordingly. And don’t forget to bring extra food and water - if you’re bringing a bottle and a bag of snacks for yourself, keep something on you for your four-legged friend too. They’re just as hungry and thirsty as you are! This advice if more anecdotal than data-backed, but I’m throwing it in the middle of this post for comedic relief. Make sure your tent is big enough to handle you, your other campers, and your dog. The first tent Jenn and I looked at would have been cozy enough with our small air mattress and two sleeping bags - let alone bringing our big, smelly camp dog in with us. We spent a bit more on a slightly larger model that could fit her dog bed too, and found that she would much rather sleep in her comfortable bed than sprawled out on top of us. On another trip to Algonquin where we were confronted with two days of constant rain, having a bed for the dog meant she could nap comfortably while we played cards and read books. Bottom line, don’t bring your husky into your bivouac tent unless you have to. It’s just a recipe for a poor night’s sleep. Clara loves being outside, and we do everything we can while we’re camping to make sure she has as much outside time as her little heart desires. Part of this strategy is hooking up a long, 30-foot leash to the closest tree or picnic table, and hooking her up to the other end. She usually lounges around the campsite waiting for some food to drop, but every now and then this long leash shows its dangers. When a squirrel pokes its head into our campsite, Clara is ready and waiting to pounce - sometimes choking herself out, tripping someone, pulling a chair off the floor, or yanking a picnic table a few feet in her direction in the process. These moments are rare, but could be dangerous if we weren’t more careful about knowing her radius. Once I’ve hooked the leash up to whatever heavy or planted object I’m trusting to keep Clara attached, the first thing I do is walk it around in a circle to see what she has the potential of turning over. The more you can do to minimize tripping or choking hazards, the happier you and your pooch will be. I’m all for bringing dogs just about everywhere, but to me camping is about serenity. And nothing ruins it faster than a barking dog. Clara lets out the odd bark at the local wildlife - more on that later - but overall she’s quiet as a mouse. And if she wasn’t, we would either work on that before hitting the wilderness, or we would find friends to dog-sit. Many parks offer radio-free zones, and typically these are for folks looking to take in as much of the natural sounds as they can. If your dog is disruptive, or can’t behave even on leash, it may be wiser to leave them at home. The further away from city life you go, especially in Ontario, the more run-in opportunities you have for local wildlife. Killbear Park, a personal favourite of my wife and I, is under almost constant bear warnings. Last year Clara chased a juvenile bear away from our campsite while I went to get water. I rounded the hill back to our site just in time to see the small black bear run away from our tent, and find Clara on high-alert. Even though warnings about wolves were posted, earlier this year a family and their off-leash dog were attacked by wolves at Long Beach near Tofino, BC. The poor pooch was injured, but made a full recovery. The beach was closed for several weeks, and unfortunately the local authorities had to issue yet another warning to keep dogs on leash. While these two stories didn’t end up in a fatally injured pooch or person, it’s worth noting the wildlife warnings in your area, and respecting them. Remember, when you’re camping in the wilderness, you’re staying in their house, not the other way around. Respect them, and they will usually respect you. While most camp grounds in Ontario are dog-friendly, some have rules around what types of accommodations your dog can enjoy. For example, pets are not permitted at the Ranger Cabins in Algonquin park. Provincial parks that feature Yurts for all-season camping are also not pet-friendly. Before you camp anywhere - especially on privately owned campgrounds, make sure you understand the rules around dogs. Nothing makes for a bad ending to a trip than being asked to leave because your pooch is not permitted. These lessons all sound kind of negative now that I’ve typed them all out, but remember - camping with your dog is like doing pretty much anything else with your dog. Be respectful, heed local warnings that may bring peril to you or your pooch, and just be aware of what your dog is up to. That’s all it really boils down to. Jenn and I are taking Clara back to Killbear Park next week for another weekend getaway into the wilderness, and we couldn’t be more excited about it. And now that we have a few trips under our belt, and the lessons learned above, I know Clara will have the time of her life, and we’ll be able to relax knowing she’s happy and safe.